Suitable for small and narrow spaces and can be used efficiently when the single line is not too long. Try to maximise the space between the stove and the sink as it will be the most used space in the kitchen during food preparation. However if the shape of the kitchen is too long, the distance between the working triangle becomes too long and less efficient. 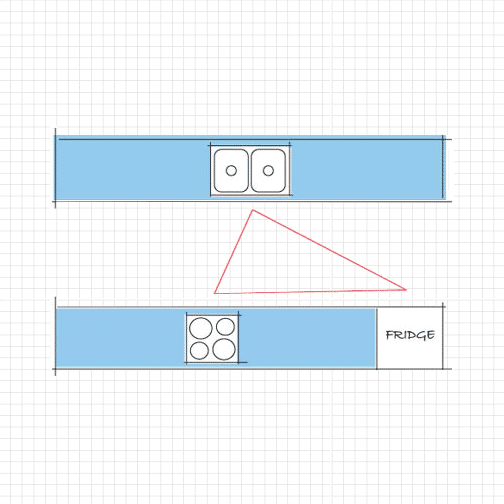 An island with a long single-line kitchen can solve this problem by establishing a more effective working triangle. L-shaped kitchen is easy to work in as the working triangle is well established, making food preparation easier even with two people working at the same time. It provides plenty of work space and storage space and can work well in either small or large kitchens. A large L-shaped kitchen can also be combined with an island or a dining table. 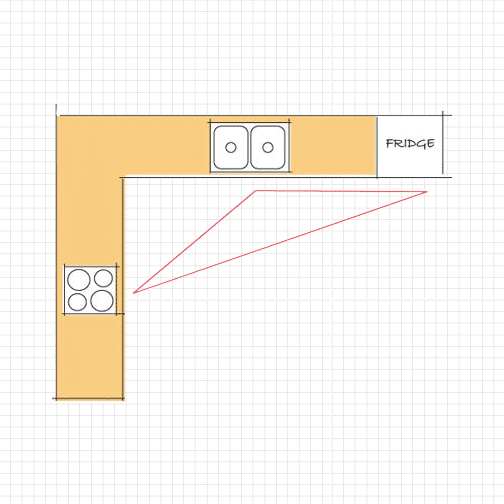 A U-shaped kitchen provides the ideal kitchen layout with an efficient working triangle. 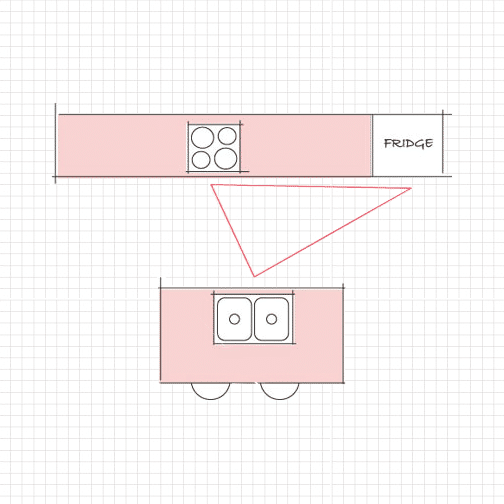 Distances between the three elements are evenly distributed to maximise the use of space for cooking and storage. A U-shaped kitchen works best in a large room, or at least make sure the opposite rows of cabinets/appliances can be opened without hitting each other. 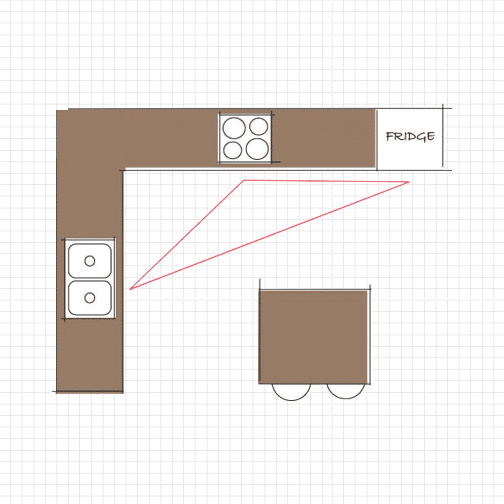 (Hint: corner spaces can sometimes be wasted and hard to reach, talk to your splendid designer for some smart idea to efficiently use the space. A galley kitchen requires less room than a U-shaped kitchen so it is perfect for narrow spaces. 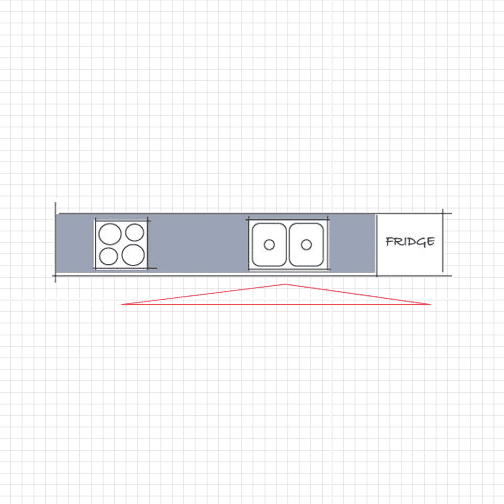 Like a U-shaped kitchen, a galley kitchen requires enough space between the opposite rows to work efficiently. If possible, a galley kitchen should not be used in a major corridor within the house as it can get quite busy during food preparation. An island in a kitchen provides extra workspace that is versatile enough to serve meals. Make sure the room is large enough to house an island so people can move around comfortably and cabinet doors can be opened easily. 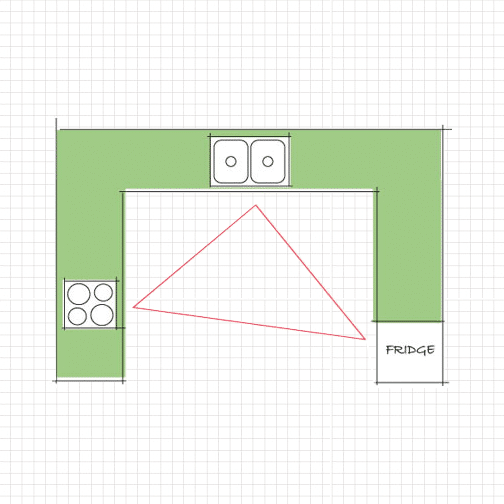 You can also use the island to house either the stove or sink to create a more effective working triangle. If space is limited, a freestanding or mobile kitchen island is another option. You can move the island when needed. Also a “see-thru” island makes a kitchen feel more spacious visually.